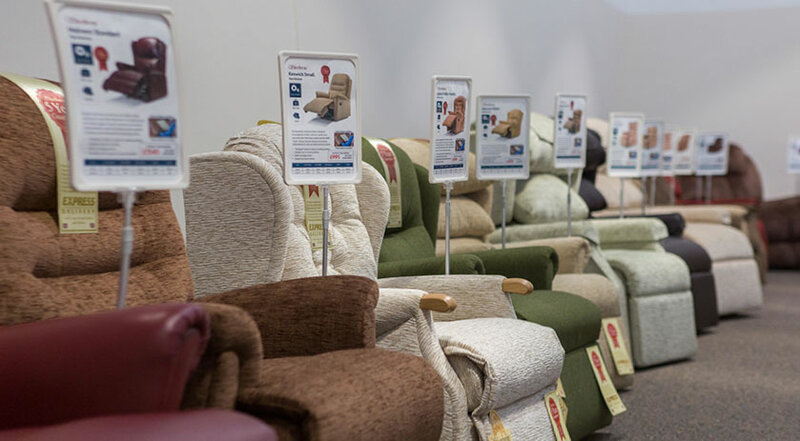 A good selection of riser recliners to view and try in the Hayes showroom. Staff very helpful. Delivered in days. Very happy to recommend CareCo. Took my terminally ill wife to CareCo as she needed a wheelchair. Jayne at Hayes is worth her weight in gold her patience product knowledge understanding of my wife's needs was outstanding. Careco's more than comprehensive range meant we didn't need to look any further. I have already recommended Jayne to friends and would recommend CareCo to anyone looking for fantastic quality knowledge choice and price. I have purchased an electric riser chair and a mobility scooter in the last month, both with engineered delivery. What a wonderful service at both the showroom delivery. Both the purchases were for my elderly parents who live on their own. The engineered delivery was worth every penny the driver went over all the controls with great patience. His name was Dave what a helpful man he was, thank you very much! After talking on the phone to a very polite helpful and informative man called Michael. I purchased one of these for my father and he loves it I wanted something that was strong and sturdy and easy to use so that it would encourage him to feel more confident going out and let me tell you this has done it. Thank you very much Michael for your excellent guidance and non pushy attitude. I will be sure to purchase from you guys again should my father need anything. Really helpful staff - Michelle at Hayes branch. Bought a mobility scooter for my Father really pleased with information and advice. Would highly recommend to visit. I went to CareCo Hayes whilst looking to purchase a reclining chair. I was helped in my purchase by Michelle who was very friendly and helpful with all the information I needed. Great showroom and no pressure to buy. I would highly recommend CareCo. Great service today by Jayne at the Hayes branch. I tried about 4 different mobility scooters before I decided to purchase one, nothing was to much trouble to tell us about different products and accessories. Would definitely recommend this store. My husband and I are getting on a bit and with arthritis in our knees decided it was time we got mobility scooters. Having purchased from this store before we decided to try there first. We had great service again was not pushed into more expensive items we are very happy with our scooters and accessories we also purchased. We're able to get them in the car and brought them home with us. Not tried them yet as charging batteries. Hopefully can do that tomorrow. Thanks to Jayne and the young man who helped also. Thank you to Michelle Jayne and Ollie for a friendly informative and helpful customer service. I would most definitely recommend CareCo to others. I visited the Hayes showroom today. Michelle was really helpful and informative and as other customers have commented there was no hard sell just helpful and polite customer service. Would recommend this store to everyone. Jayne from Hayes store was very polite knowledgeable and friendly when assisting me with my purchases. Very good people skills and I was happy with my purchases. Arrived at store and met by cheerful staff member Michelle. She guided us to the equipment we wanted. Allowed us time to try it out of the store and then talked us through specifications to ensure it meet our needs. No hard sell just helpful and informative. I was impressed with the professional and helpful experience that I received when I attended with my elderly mother. There was no hard sell and no rushing and a wide range of products it was some where I would definitely recommend to others. Came to the Hayes store to purchase a wheelchair for my Dad. Lots of different types to choose from and was able to look around without being pressured to buy. Staff were very friendly and helpful. The wheelchair we purchased seemed to be very good value for money. Excellent service from Oliver and team at Hayes from initial enquiry to demonstration and purchase. Came home the same day with a new mobility scooter. Will definitely recommend! Was looking for a wheelchair. Lots to choose from and test out. Appreciated being able to browse unhindered initially and also the helpful advice and demonstrations I was given when I asked. Came out with what I needed at a very reasonable price. Thank you! Went to Hayes and met a lovely lady called Michelle. She was kind helpful and very patient. I bought my mobility scooter which has now given me more independence. I would highly recommend this branch and company. Thank you very much! A great experience for my Mother and I to look at and test the suitability of the extensive range of rollators and walkers. Oliver and the team gave us informed not pushy support explaining in detail the benefits of all the equipment available. We were also able to view other aids which might be required in the future we always like to see and feel the products we buy in person where possible. Thank you to Oliver and the team at Care Co Hayes! Friendly service and lots of products on display. I brought my mum in to buy an airlite scooter, after listening to the advice of the very helpful staff we decided to go for a much better model. Thanks for being so patient and understanding with my mum while she tried nearly every scooter. I will definitely be recommending to my friends. Bought a scooter and very happy with it. Ollie was helpful and patient. CareCo had a big choice of chairs. I was left to browse and help was there when needed. Looking forward to my new chair arriving. Great showroom. Staff helpful with buying buggy for wife. We visited your Hayes showroom where we found very helpful staff who answered all our questions and then left us to just look around which is how we like it. This order was very simple and smooth as was our whole experience with Careco. Thank you all. I visited the store to look at the range of walkers that Careco sell. They had a good range and had the one I wanted they then unboxed it for me and set it up. Very good service. The showroom has such a wide variety of products to look at Ollie and Michelle were extremely helpful which is great to see in this day and age. 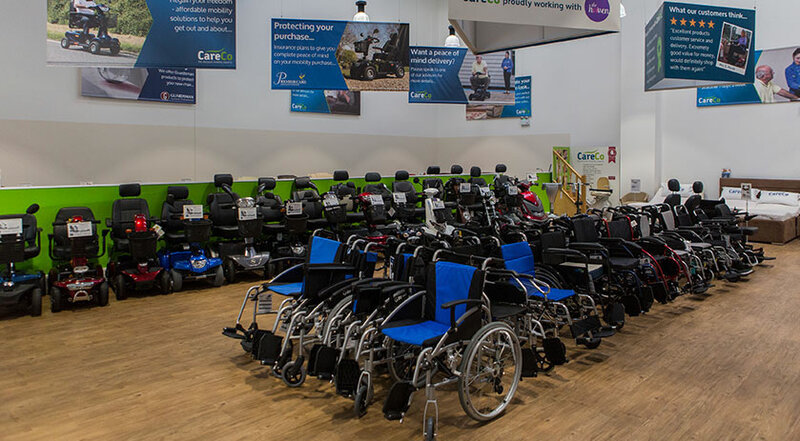 Visited CareCo Croydon with eldery mum to purchase a recliner. Staff were very patient and let mum try out every chair on display. There is a wide selection for a variety of price ranges We settled for Madison wheat colour. Excellent service lovely friendly staff. Very helpful and knowlegable staff. Bought a scooter from Oliver very helpful and knew what he was talking about. Delivered the following day Very good service. Visited the Hayes showroom this morning to purchase a wheelchair. Both staff members were very friendly and made us feel very welcome. Advice was spot on and I am confident I have made the correct decision. Thank you for submitting your review for the Hayes CareCo showroom. 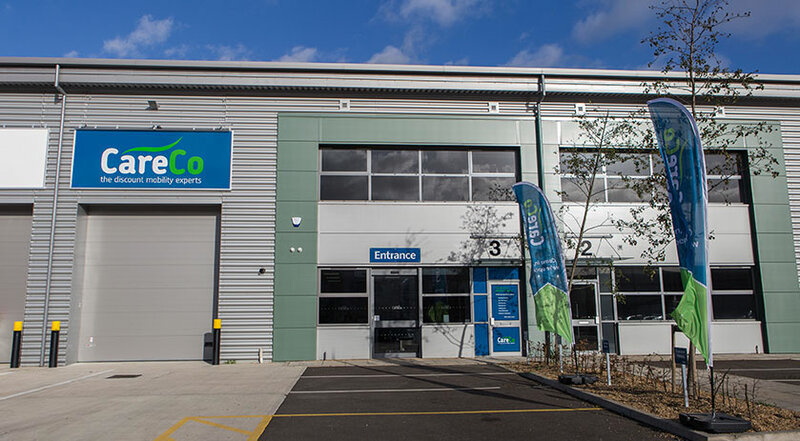 Our Hayes showroom is just a 5 minute drive from the M4 (exit at junction 3 and follow 'The Parkway'/A312 onto Hayes Road), or you can find us by taking the 195 or H28 bus to stop BS (Hayes Road Tesco). All customers should pull into the Costco entrance and take the right turn at the mini roundabout to find us at unit 3. We've got free parking with plenty of disabled spaces, so you can stay for as long as you like and find the perfect product. 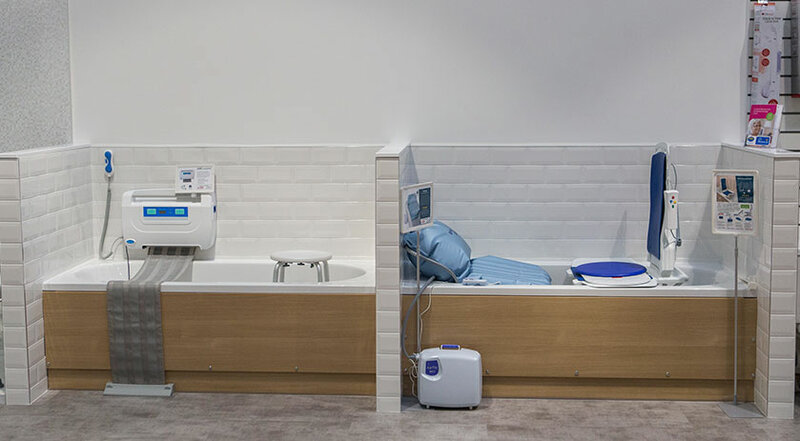 Whether you're looking for scooters, riser recliners, wheelchairs, adjustable beds, walking aids or bathroom aids, our Hayes showroom features an extensive selection of only the best available products. 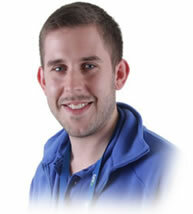 "I have worked in the mobility industry for nearly five years and I still enjoy coming in to work every day. I find it really rewarding seeing customers who struggle day to day and helping them find a solution to something that they have struggled with in the past."